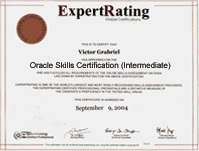 (leading to ExpertRating Intermediate Oracle Skills Certification (Intermediate)). About the ExpertRating Online Oracle Course (Intermediate) instructor : Cindy Delia is a Systems Analyst and a certified instructor. She has been working in information technology for more than 18 years and has been a technical trainer for over 6 years. As a Systems Analyst, she specializes in database management systems and develops PC applications. She has taught computer courses at the community college level and also performs corporate training. Cindy has also written technical manuals for WordPerfect. Intermediate Oracle Skills Course requirements: For taking this instructor led ExpertRating Online Oracle Course (Intermediate) you need Internet access, E-mail, and the Microsoft Internet Explorer or Mozilla Firefox Web browser, completion of Cindy Delia's Introduction to Oracle Skills Course (or equivalent experience), and any type of computer with an installed copy of Oracle's Database Software (versions 8, 9 or 10 are acceptable). The Database software is available for downloading from Oracle's website (www.oracle.com). Download the Oracle Database 10g Release 2 Standard Edition, Standard Edition One, and Enterprise Edition that supports your operating system. This course provides post-installation instruction on Oracle. Installation support will not be provided in the course. Installation support is provided from Oracle's website. "The was exceptional in the way it was admistered and written. I got more that I expected. Excellent course." "What a fantastic course, especially for the cost. You can get out of it whatever you are willing to put into it. I would recommend this course to others." ExpertRating is one of the world's only ISO 9001:2015 Certified companies (from TUV America) offering an Online Oracle (Intermediate) Course (leading to ExpertRating Oracle (Intermediate) Skills Certification). When you choose the ExpertRating Online Oracle Course (Intermediate) you can be sure that you are buying a premium International certification that is recognized by hundreds of employers and Government bodies in the US and other countries. With ExpertRating you get certified quickly online and you are equipped with a store house of information through the in-depth ExpertRating Online Oracle Course (Intermediate)ware which has been developed by experienced Oracle Experts. The ExpertRating Oracle Skills Certification (Intermediate) is by far the best value for money instructor led Oracle Skills Program at $129.99. How much does the Oracle Skills Certification (Intermediate) cost and what does it include? You can buy this ExpertRating Online Oracle Course (Intermediate) leading to Oracle Skills Certification (Intermediate) at a special offer price of only $129.99 which includes the in-depth ExpertRating Online Oracle Course (Intermediate)ware and exam fee. This is the best value for money Oracle Skills Program available till date. You get the following services within the USD $129.99 fee. In-depth ExpertRating Online Oracle Course (Intermediate)ware including scenarios and examples. The process of getting yourself certified is very simple. All you have to do is buy the ExpertRating Online Oracle Course (Intermediate) for $129.99. Log in to the instructor led course using your password. Go through the ExpertRating Online Oracle Course (Intermediate)ware (which would take you 6 weeks) and complete the final Oracle Skills Certification (Intermediate) exam at your convenience. You can complete the exam within 2 months of buying the Oracle Skills Certification (Intermediate). The result of the exam appears as soon as it is completed, and your Oracle Skills Certificate is mailed immediately. Chapter assignments to help you practically use the Oracle Skills that you will learn during the Oracle Skills Course. The final exam is fully based upon the ExpertRating Online Oracle Course (Intermediate)ware that is provided along with the Oracle Skills Certification (Intermediate). If you have gone through the courseware properly you should not have a problem clearing the exam. The exam consists of multiple choice questions from all chapters of the ExpertRating Online Oracle Course (Intermediate)ware. According to an estimate, ten of the world’s top banks run Oracle applications. 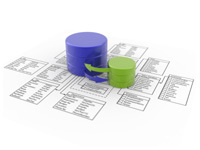 Oracle is a powerful and flexible relational database management system (RDBMS). 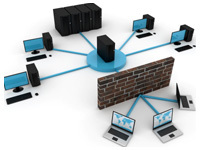 It has hugely made its presence felt in database computing. PL/SQL is a significant tool which is designed for data manipulation, both internally within Oracle and externally in your own applications. Oracle databases tend to be backwards compatible. Oracle is an efficient, fast and resource saving operation. You can manage data retrieval for front-end operations using Oracle Skills Pl/SQL application. Oracle is more versatile and can run and handle more transactions than MySQL. It is important to know PL/SQL, if you have to start working on the database application development in the Oracle environment. The ExpertRating Oracle Skills Certification (Intermediate) gives you a comprehensive understanding about language syntax, extensive code, PL/SQL optimizing compiler and security. In the first lesson, you'll master the basics of PL/SQL and discover how you can best get started using this powerful language. You'll also learn the differences between SQL, SQL*Plus, and PL/SQL today. You're going to learn how to use operators to manipulate variables. You'll build simple expressions that compute two values, as well as complex expressions that consist of function calls, operations using variables, and relational comparisons. You'll also learn about datatype conversions for expressions that contain operands of multiple datatypes. In this lesson, you'll take a closer look at how to create your own functions. The two main reasons for writing functions are the reduction of code and their ease of use. You'll learn how to code PL/SQL functions, how to define parameters in the functions, and how to store them. This lesson will also show you how to control the execution of PL/SQL blocks using the IF and looping statements. Then, this lesson will explore the various IF statements and how they operate, and you'll gain experience working with a simple loop. In this lesson, you'll begin to master more methods for changing the order of execution of PL/SQL blocks. This lesson will cover statement labels, the GOTO statement, and the different kinds of loops. You'll learn how to branch by using the GOTO statement followed by a statement label. Then, this lesson will discuss why the statement label must appear in the same block and within the same scope as the GOTO statement. Next, this lesson will look at control structures. You'll learn about the different kinds of loops and how they operate. Finally, you'll discover techniques for exiting loops and how to simulate a REPEAT...UNTIL loop. Lesson 6 will look at a number of Oracle’s built-in functions, including string functions, number functions, date functions, and conversion functions. This lesson will focus on procedures and packages and how they allow you to organize your PL/SQL code into logical groups for uncomplicated maintenance and implementation. Errors that occur from hardware or network failures, application logic errors, data integrity errors, and other sources are called exceptions. This lesson will introduce you to the concepts behind PL/SQL exception handling. It will explain the different types of exceptions and show you how to identify and handle errors in your code. PL/SQL cursors provide a method for selecting multiple rows of data from the database and processing each row individually. You can use cursors for simple procedures and complex processing. This lesson will introduce you to cursors and how they may be used. In this lesson, you'll learn about triggers and experiment with implementing a few different types of functionality. This lesson will discuss advanced cursor concepts, which include the SELECT...FOR UPDATE statement, the WHERE CURRENT OF clause, and subqueries in cursors. Finally, you'll learn techniques to managing PL/SQL code. Although some may never admit to it, everyone makes mistakes, so you will inevitably make some coding errors. These errors are usually comprised of syntax and logic errors. The final lesson will demonstrate how to find these bugs and then how to reduce the number of coding mistakes you may encounter.